Good morning, my friends! It is me, Leigh! I have taken over the blog today. If you are reading this, then I got it posted before anyone figured out that I can type with these paws. That’s me up there in that photos. I had just been playing with some fabulous boys when visiting a great foster home for a few days. The boys were both 4-legged & 2-legged. I had so much fun. 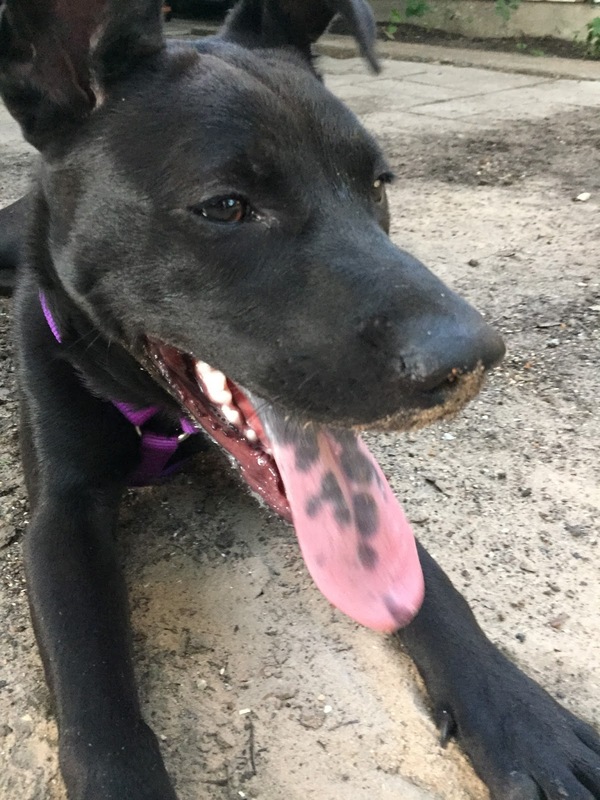 You can tell I was having fun cause my ears are up, tongue out and dirt on my nose!! My nose was close the ground as I was hunting for those crunchy treats that are only available during June. JUNE BUGS!! Foster Mom was grossed out, but I love the crunch . . . I’m gonna try to bring some in the house for her to try. So, you know me, I love a good field trip. So, my buddies Abbey & Tugger took me to visit What A Great Dog! in Frisco. 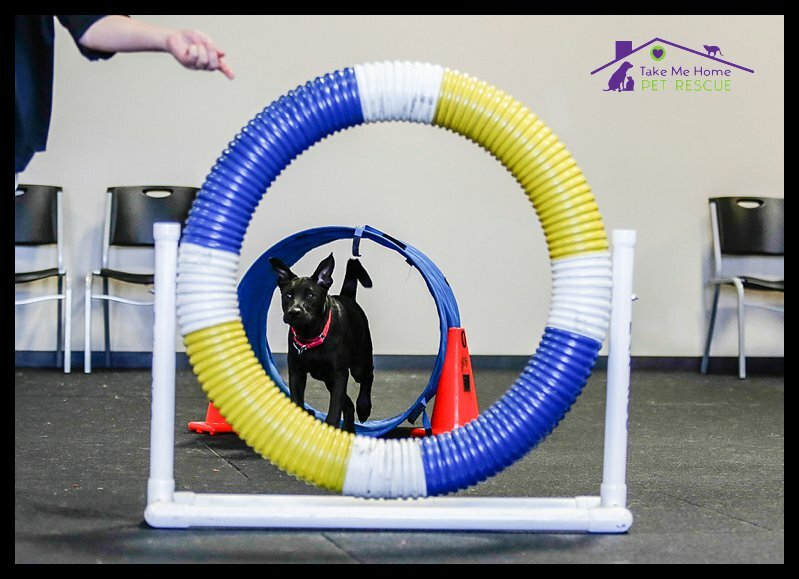 They said that I could run and jump and try the “baby agility” stuff. So, Abbey’s Mom brought lots of goodies that I love to eat to see how I would do. See me, see me up there on the wobble board! I had no problem hoping on and staying on!! I even looked at my buddy who was taking pictures and stuck my tongue out at her. I loved it!! But, that wasn’t the best trick! 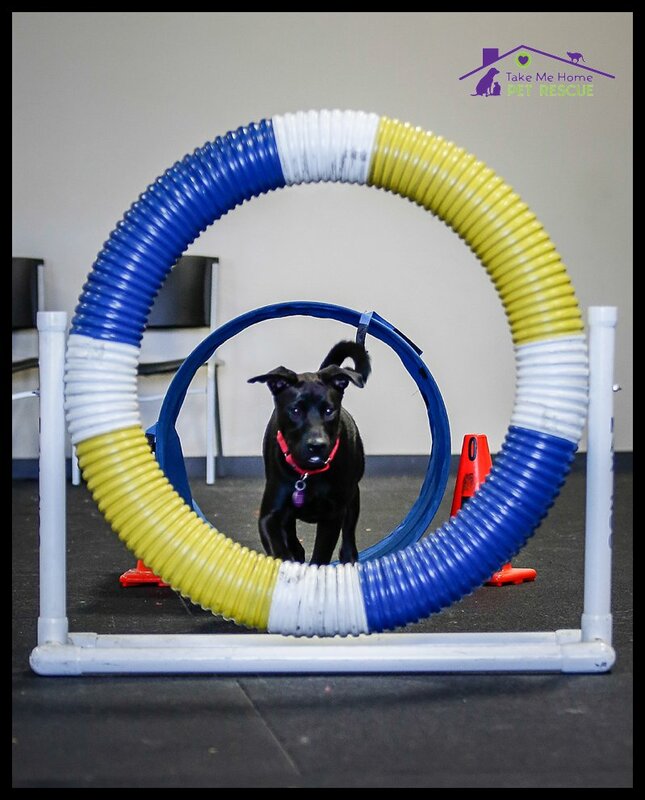 My friend Abbey showed me how to run through the tunnel and jump through a tire!! See, tunnel, no problem! It doesn’t scare me!! Then Abbey’s Mom pointed to the tire. I got this!! Yep, tongue sticking out again at my buddy! And paws crossed in perfect landing formation. 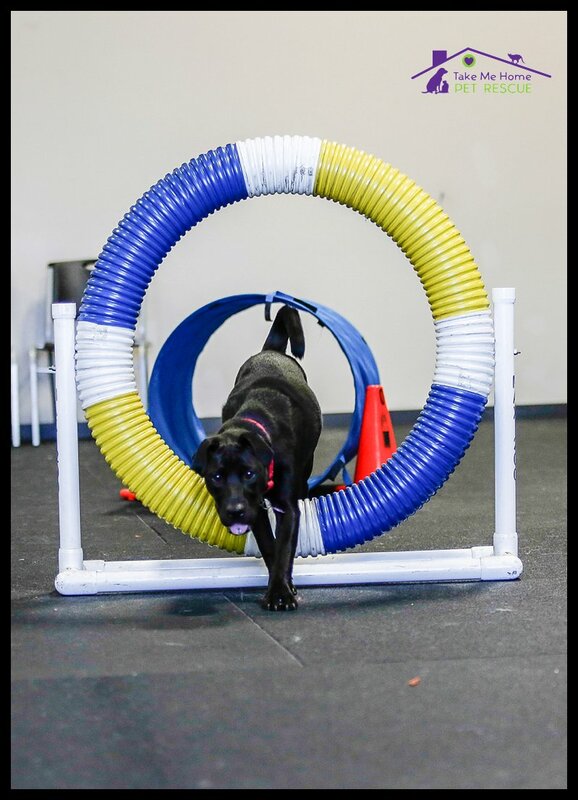 I love this agility stuff!! I must have done well, cause I am hearing talk that we are heading back to WAGD! today for my first Manners Class. Abbey’s Mom will be there to watch me, I can’t wait to see her. She gives me lots of love and some pretty great treats!! Anyway, I gotta go get ready. I can’t wait for my field trip! More on that later, when I take over the blog again! Oh, and just so you know. I’m currently scheduling interviews for families who are interested in a Forever Dog. 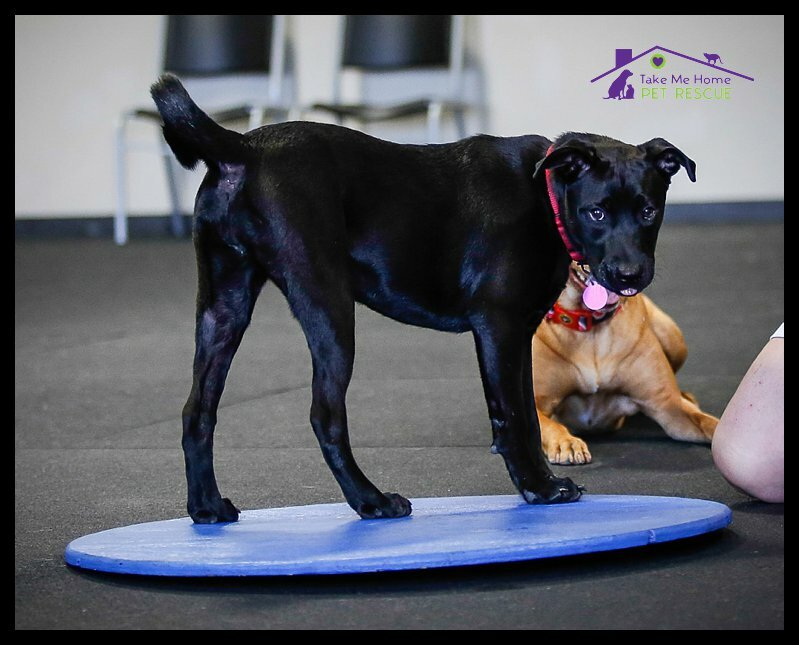 I am looking for a Forever Family who wants an active dog. I love field trips and learning new things. If you want a lifetime of that kind of activity and a four-legged best friend with really cool ears . . . fill out an app online. Here is the website. Gotta go! Big day ahead!